What is a liquid wax cell? A liquid wax cell is a small plastic container that includes a metal wick holder and wick, filled with the same lamp oil as we supply for all of our other candles. It is an ingenious way of making oil candles even more convenient. You just light the fuel cell, just as you would a candle or a tea light, and throw it away when it is finished. You can use them on their own, or with any shade you choose. 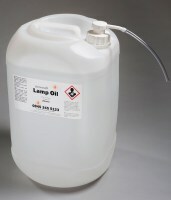 We do a range of shades designed to fit the two sizes of liquid wax cell that we stock. There are just two steps to having liquid wax in your restaurant. 1. Choose a liquid wax candle shade from our range. 2. Select the correct size liquid wax candle to fit the shade.